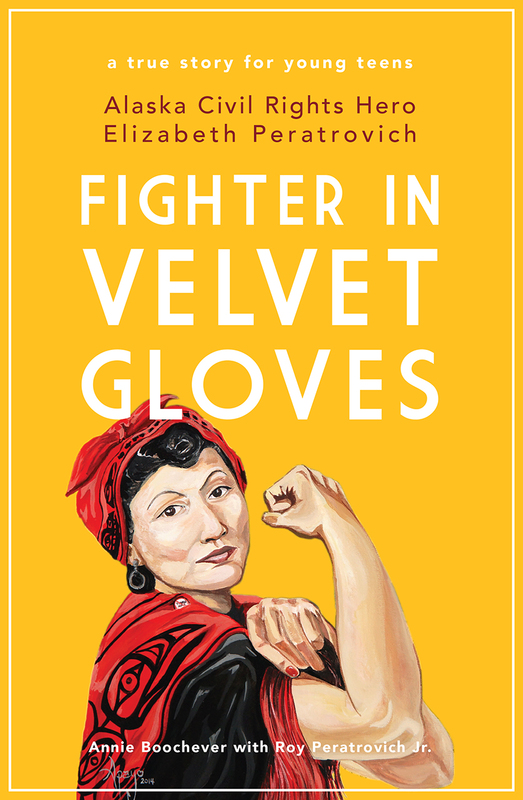 Fighter in Velvet Gloves: Alaska Civil Rights Hero Elizabeth Peratrovich, Boochever, Peratrovich, Jr.
Annie Boochever with Roy Peratrovich Jr.
“No Natives or Dogs Allowed,” blared the storefront sign at Elizabeth Peratrovich, then a young Alaska Native Tlingit. The sting of those words would stay with her all her life. Years later, after becoming a seasoned fighter for equality, she would deliver her own powerful message: one that helped change Alaska and the nation forever. In 1945, Peratrovich stood before the Alaska Territorial Legislative Session and gave a powerful speech about her childhood and her experiences being treated as a second-class citizen. Her heartfelt testimony led to the passing of the landmark Alaska Anti-Discrimination Act, America’s first civil rights legislation. Today, Alaska celebrates Elizabeth Peratrovich Day every February 16, and she will be honored on the gold one-dollar coin in 2020. Annie Boochever worked with Elizabeth’s eldest son, Roy Peratrovich Jr., to bring Elizabeth’s story to life in the first book written for young teens on this remarkable Alaska Native woman.